custom designed and sold in Pennsylvania. 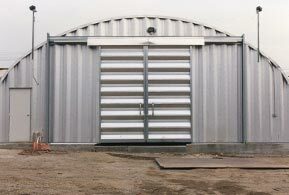 Metal garage kits made for sale in Pennsylvania are engineered and designed for the state’s building codes and climate. 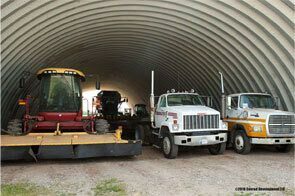 19 gauge steel arch buildings are sturdy enough to handle the heaviest snow loads and winds although our steel buildings come as heavy as 14 gauge galvalume steel. Metal Building Kings® steel buildings exceed Pennsylvania’s requirements in PA's Chapter 149 issued under section 5 of the Manufactured Housing Improvement Act (35 P. S. § 1658.5) and are manufactured to far exceed all certification criteria that in Pennsylvania county building codes for manufactured buildings and homes. 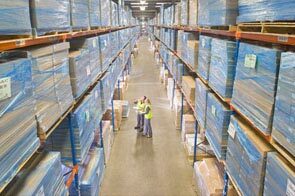 Metal Building Kings® custom manufactures its Pennsylvania metal garage’s for its distribution centers in Philadelphia, Pittsburgh, Allentown, Bethlehem, Erie, Scranton, Lancaster, and Reading for the 12.79 million residents in all 67 counties and 2562 municipalities in the Keystone State. 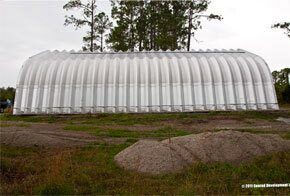 Delivery to your approved building site with finalized permits is fast and inexpensive due to our low shipping rates. 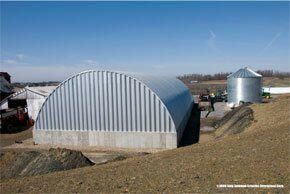 We offer turnkey solutions for building erection and construction with Pennsylvania's most reputable and experienced contractors. We have worked with experienced contractors with excellent ratings in Allegheny, Warren, Erie, Bradford, Clearfield, Mercer, Bedford, Cumberland, Bucks and Huntingdon Counties that are licensed and certified for manufactured building construction. 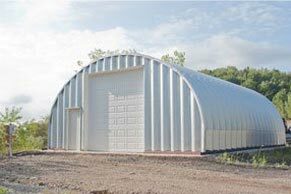 Pennsylvania residential metal garage kits are called “P Model” and “A Model” quonset style steel arch garages that come in a variety of widths from 13’ to 40’ feet and up to 40 feet high but the average building height for a home garage kit is 16’ high at the roofs peak. 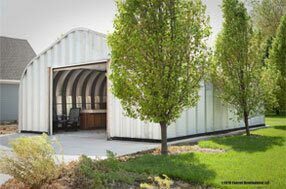 Prefab garage kits are constructed with 80,000ksi tensile yield carbon steel arches called panels, and have a 7½" deep corrugation to maximize strength. 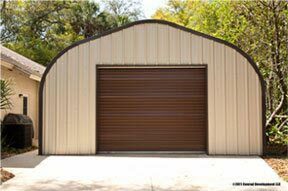 The pre-engineered metal arch building is much stronger and lasts far longer than a tube frame system or other metal framed straight panel garage kits. 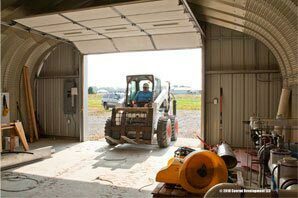 Accessorize your garage kit with panel insulation, skylights, turbine and louver ventilation, 3 types of overhead doors, sliding doors and walk through doors. Customer support will also help you with information on laying your building foundation which is used as the floor which base plates are bolted into to secure your metal garage. 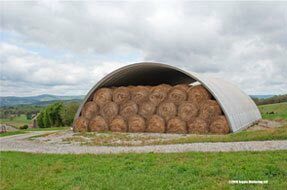 Agriculture businesses in rural Pennsylvania can order the “Q Model” and “S Model” steel arch building kits for farming equipment, fertilizer and livestock feed and machinery. 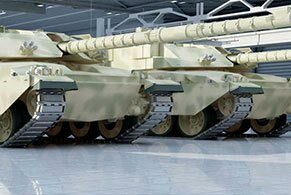 These garage kit models are much larger with over 100’ in width and up to 24’ tall. 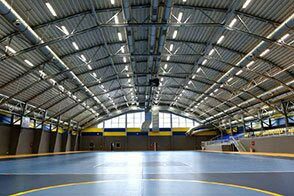 The interior is free from rafters and trusses so you can utilize the entire space inside.